The skull on the left is obviously human. But what if only a fragment is left behind? U.S. Treasury Department. Most cadavers at the Body Farm are donated by people keen to advance forensic science. Others are the unclaimed or the homeless. As Jantz reports, the scientists who work there are never short of fodder for research. But for detectives, finding a body can be an awful challenge, one that can make or break a case. More often than not, says Alison Galloway, a forensic anthropologist at the University of California at Santa Cruz, somebody talks. "Usually, there's a good idea where the body is....It's going out with an informant who says something like, ' This body was buried in this spot by a big tree.'" Taking soil cores can show where dirt was disturbed, sometimes leading to a body. But sometimes, it isn't so easy. Investigators sometimes need to cover areas many square miles wide to find a body. 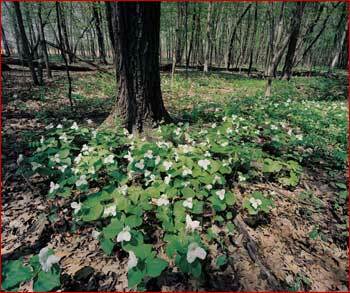 In the conventional approach, volunteers slowly patrol a patch of land, scrutinizing the ground for disturbances. Sometimes the method works. Other times, it makes for fruitless weeks or months. Since most criminals will bury a body in a shallow grave, Galloway explains, cadaver dogs that have been trained to recognize the telltale odor of decomposing human flesh are indispensable. A dog's keen ability to discern odors is unmatched. But there are too few dogs, and they are expensive to train. Under certain conditions, they can't work for reasons of their own safety. Arpad Vass, a forensic anthropologist at the Oak Ridge National Laboratory, and his colleagues are trying to reproduce in the lab the same odors that dogs sniff out in the field. "In theory, you could not only locate a body but then possibly even determine what species it is or what the post-mortem interval might be," says Vass. That's because during the early stages of decomposition, when soft tissue breaks down, the body emits as many as 400 chemicals. At any moment, the chemical "signature" tells something about how long the body has been dead. Cadaver dogs are now trained to recognize these odors with real bodies (human and non-human), but a gadget producing a waft of the same odor could save trainers time and money. The device will be easy to make, Vass says, once the chemical tag is understood. But getting there will be an arduous -- and odiferous -- task. In the meantime, Vass has conceived a way to use body-scouting creatures that succeed when even dogs fail. "The fly's whole life is geared towards finding rotting meat. That's it existence," says Vass. "Why not take advantage of that evolutionary capability and put a chip on a fly and track it?" 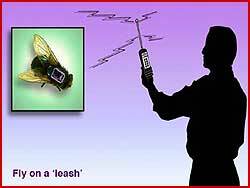 The "fly on a leash" concept remains just that, pending funding. Most forensic anthropologists spend their time teaching and working on investigations within the U.S. But the science is increasingly applied to investigations of human rights abuses abroad. The military government that ruled Argentina between 1976 and 1983 has long been suspected of abducting, and then murdering, thousands of political opponents. The National Commission on the Disappeared estimates there have been more than 9,000 so-called "desaparecidos" ("disappeared"). Many were buried in unmarked mass graves. The Argentine Forensic Anthropology Team (AFAT), which includes a small number of professionals from around the world, has been identifying bodies for more than two decades. They have given more than 250 families answers about missing loved ones and a hefty legal case against those responsible (See "Round the World" in the bibliography). 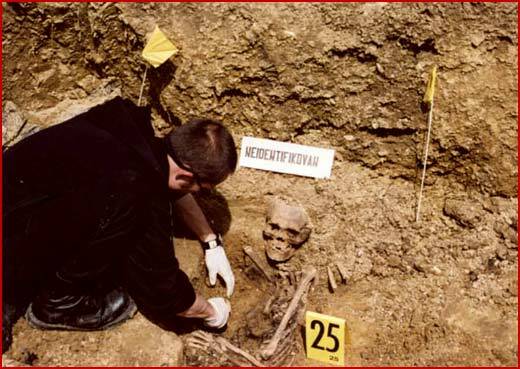 An anthropologist exhumes an unidentified set of remains from a Sarajevo cemetery. Forensic anthropology teams match these and thousands of other remains from conflicts around the world with DNA samples from family members of missing relatives. Photo by T.J. Grubisha 2002, U.S. State Department. In the fall of 2000, Guatemalan president Alfonso Portillo apologized for 20 deaths and disappearances that occurred during Guatemala's civil conflict, agreeing to pay compensation to relatives. It's a partial success for the families -- more than 600 large-scale massacres are suspected to have occurred there between 1960 and 1996. But the admission would not have been possible at all without the evidence provided by the AFAT, whose investigations have now extended across South and Central America (see "Anthropologists Exhume Guatemalan Massacre Sites" in the bibliography). The same excavation principles that would apply to a Neanderthal skull are used by forensic anthropologists -- be it a tomb of skeletons unearthed after a hundred years, a murder victim in a shallow grave, or a disembodied femur found in a ditch. But what transpires after a body is recovered requires a different kind of expertise, and a very strong stomach. Grisly, but true: inside the laboratory.